School’s out for the summer, but there’s plenty of ways your nippers can find their creative side, get physical and make new friends this summer. 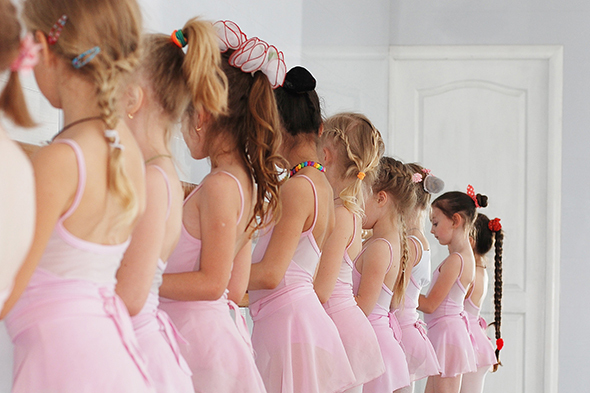 A week-long dance camp where kids aged four to ten years get to explore a variety of popular styles of dance including ballet, musical theatre, contemporary, jazz, hip hop and ballroom. To showcase their skills, there will be a finale performance at the end of the week for parents and friends. Students must bring their own shoes and snacks. 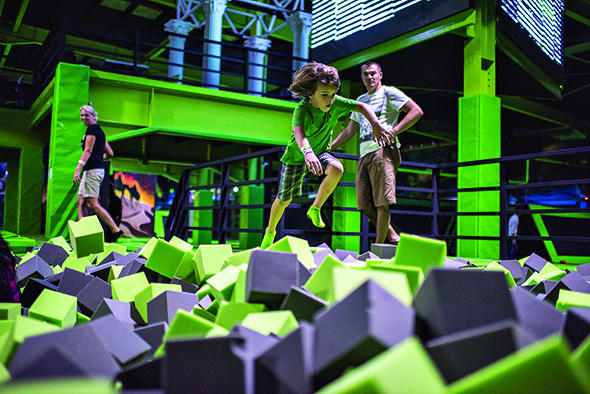 Flip Out Dubai are offering three camps for kids aged five years to teens this summer where they can practise the acrobatic art of trampolining, parkour and 3D wall running. Young ‘uns can also play games such as bubble soccer, archery tag, dodgeball, volleyball, football and basketball. 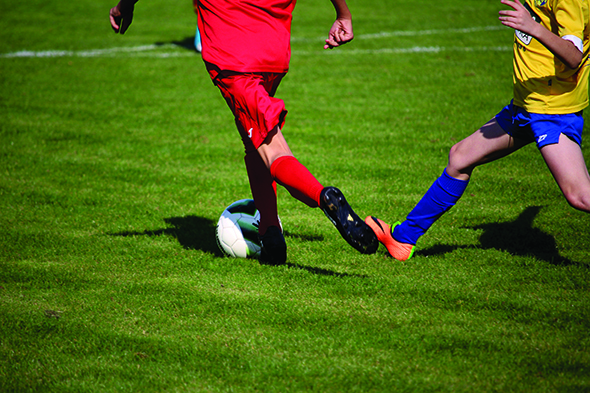 The goal of this camp is to introduce kids to as many sports as possible and develop their athletic skills and improve team play and sportsmanship. 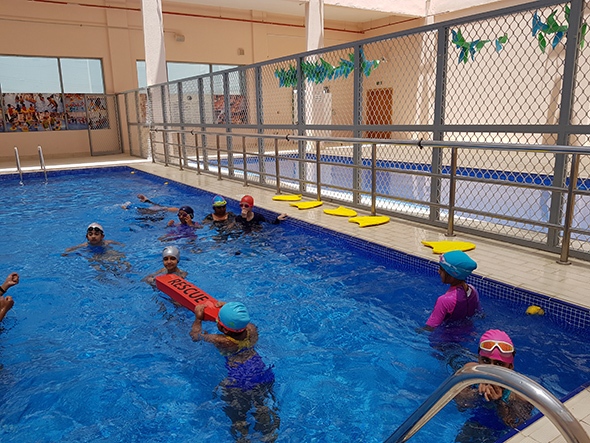 It’s a great way for them to meet new friends and learn sports such as tennis, football, basketball, swimming, badminton, rugby, karate, and dance. Camps are divided into different age groups, from four to 12 years. If you think your kid has what it takes to be the next Gordon Ramsay or Marco Pierre White, then it might be worthwhile enrolling them at Atlantis the Palm’s culinary camp. 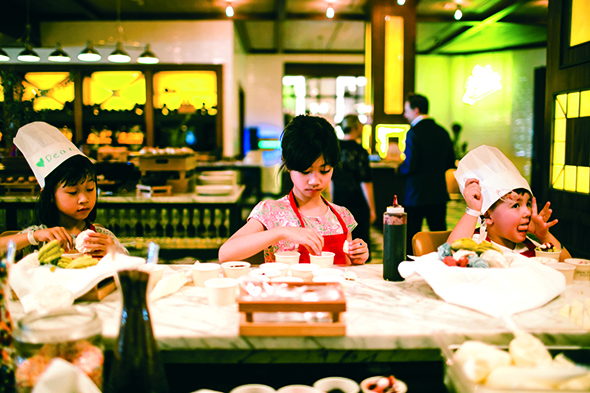 Kids age eight to 12 years can learn from the resort’s top chefs on how to make the perfect pizza, whip up desserts and master the art of sushi-making. As part of the package, kids get lunch and snacks provided and access to Aquaventure Waterpark and pool games at the Royal Pool or Zero Entry Pool. 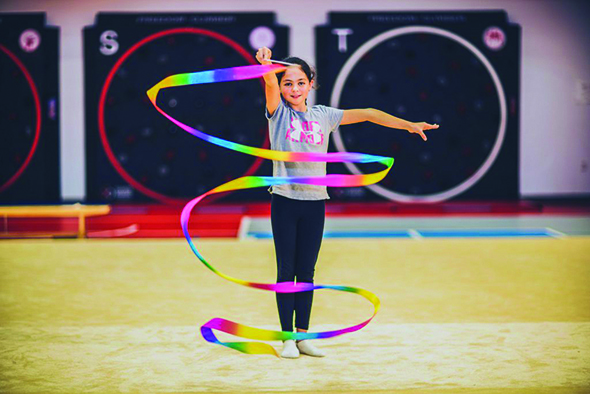 For kids who love being active, FitRepublik gym’s summer camp has a range of energetic activities including crossfit, martial arts and gymnastics. Aimed at children age five to 14, the camp is held over eight weeks and parents can choose from either half-day or full-day sessions. Kids can also enjoy having fun on the huge water obstacle course and enjoy creative classes such as dance, bracelet-making, play dough modelling and graffiti art. 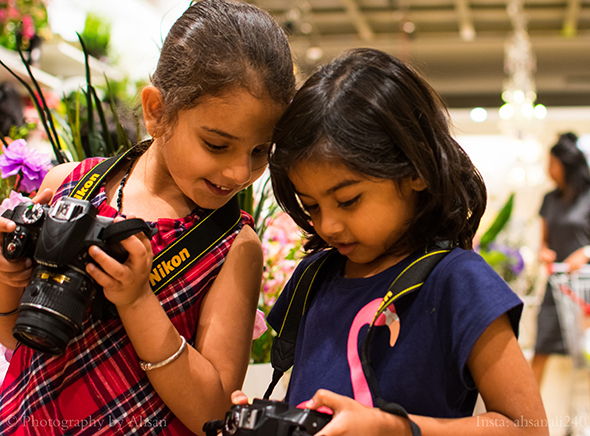 This summer camp teaches children the art of photography and how to visualise a picture. The 15-hour course is aimed at kids age tive to 16 years and teaches them how to operate a camera and to capture images for various styles such as portrait and animal photography, food and fashion. The camp price includes a free Nikon D3400 DSLR camera worth Dhs1,999. The Global Indian International School is a go-to spot for active kids as young as three years to 12 this summer. The program has over nine activities per week including swimming, soccer, karate, dance, theatre, tennis and gymnastics. Kids can also rock out and learn to play the drums and get creative with face painting. The camp has a flexible schedule so you can choose to enrol your child for a week or for the entire month. Swiss International Scientific School offers sports, swimming, horse-riding and tech camps open to both students and the public. Camp programmes are designed for various age groups from age three to 15 years and include activities such as tennis, football, basketball, gymnastics, robotics, 3D designing and more. 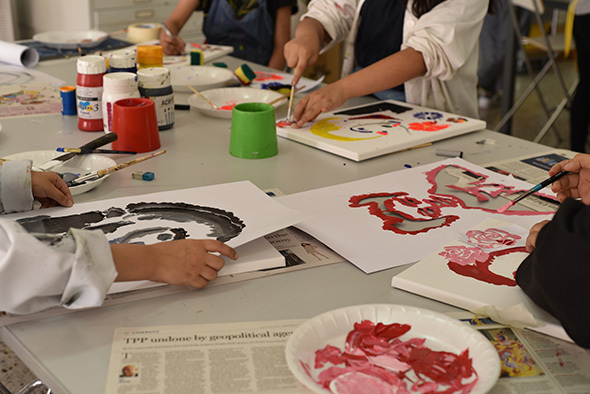 Young artists aged eight to 16 years can try a range of creative workshops focusing on areas such as pinhole photography, sculpture, screen-printing as well as sign painting, casting with silver and papermaking. Kids can sign up for one workshop or take part in a weekly camp. A bespoke plan is also available and sibling get ten per cent discount. This cricket camp has been coaching kids age 13 to 17 since 1998 and is designed to help develop confidence in young players. 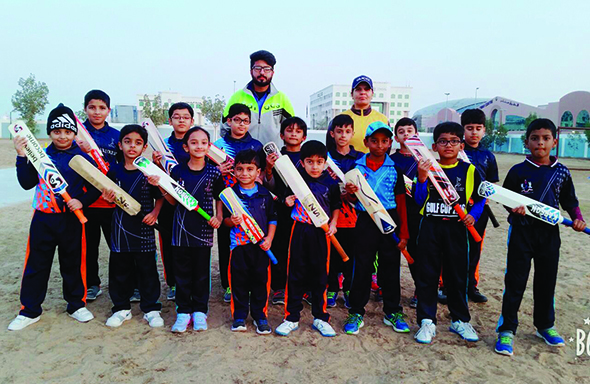 They’ll learn the fundamentals of cricket through various frills and games and get the chance to learn from professional players and coaches from the UAE and Australia. The UAE’s first NASA Space and Rocketry summer camp opens its doors to budding scientists and engineers aged 9 to 14 years old. Led by NASA experienced space experts from North America and Europe, they’ll learn what it’s like to live and work in space and about about missions to Mars. Students at the weekly camps will also get to taste real space food. Just Play has teamed up with UAE Team Emirates to give budding cyclists aged 11 to 16 the chance to see what it takes to be a pro. The daily coaching clinics run Sunday to Thursday and are themed on the Tour de France. Just Play’s Summer Camp also offers football, basketball, touch rugby and ninja warrior.